This is the True story of 2 Texas Rangers who both came out of retirement to hunt down the notorious Bonnie and Clyde. Frank Hamer (Costner) and Maney Gault (Harrelson) team up and hit the road after being hired by Texas Governor Ma Ferguson(Bates) and the Prison Warden(J K Lynch) from where Barrow escaped. Bonnie Parker and Clyde Barrow were as famous as Movie Stars back in the 1930's and this is effectively portrayed especially at the end. Costner and Harrelson pairing works well and though maybe a bit long the Movie does its Job and so did the Bullets! Greetings again from the darkness. Setting one's film up to be compared to a long time classic can be quite challenging for a filmmaker, but that's precisely the situation director John Lee Hancock finds himself. Known for crowd-pleasers like THE FOUNDER, SAVING MR BANKS, and THE BLIND SIDE, Mr. Hancock delivers a Netflix film destined to face off against Arthur Penn's 1967 classic BONNIE AND CLYDE. Where the earlier film focused on the anti-hero celebrity (and beautiful faces) of the young outlaws, this latest film flips the lens and puts law enforcement (particularly grizzled veterans) front and center (Bonnie and Clyde are barely glimpsed until near the end).The film begins with a well-planned and deadly prison break in 1934 and then moves into a meeting where Lee Simmons (John Carroll Lynch) of the Department of Corrections is pitching Texas Governor "Ma" Ferguson (Kathy Bates) on his idea of reactivating the defunct Texas Rangers, and bringing legendary lawman Frank Hamer out of retirement. It's pretty simple - the FBI and its new-fangled forensics is failing miserably in tracking down Bonnie and Clyde, and the hope is that Hamer and his old-fashioned detective work will succeed.Kevin Costner plays Frank Hamer, and we first see him and his well-trained pet pig trying to enjoy a peaceful retirement at home with his wife Gladys (Kim Dickens). Not long after, he's joined by his old partner Maney Gault (Woody Harrelson), who is down on his luck, drinks too much, and is in desperate need of a purpose. Thus begins the buddy road trip featuring the no-nonsense Hamer and the quipster Gault. Not many play self-importance better than Costner, and few deliver wisecracks better than Woody.The screenplay comes from John Fusco, whose previous western projects include HIDALGO and YOUNG GUNS. Though this isn't a traditional western, it has most of the expected elements. Aging lawmen chasing colorful outlaws. Good versus evil. Right versus Wrong. While it's a relief the film doesn't romanticize the Barrow gang and their violent ways, it's a bit frustrating to see that the movie tries to make Hamer and Gault as famous and iconic as the outlaws they were chasing. Sure Bonnie's fashion influenced many women of the era, but that had to be nauseating for those lawmen in pursuit who were putting their lives on the line. In the 1967 film, Denver Pyle played Frank Hamer in a shamefully written role, and here Costner strikes so many hero poses and seems to invoke mystical ESP abilities in his police work, that we half expect Hamer to walk on water at some point.The best part of the film is watching Costner and Harrelson work together, with the latter really making this work on whatever level it does. Additionally, there is a scene with Hamer and Clyde's dad that features William Sadler in a cameo. I don't know if this meeting actually took place in real life, but it teases what the film could have been. As a fantasy for cinema aficionados, the project was originally intended to be a vehicle for Robert Redford and Paul Newman, but just never progressed. Combine that with BUTCH CASSIDY AND THE SUNDANCE KID and THE STING, and you'd have an unmatched triumvirate of buddy greatness. Hancock's film certainly pales in comparison to the 1967 film, but it's a worthy story that deserves to be told. 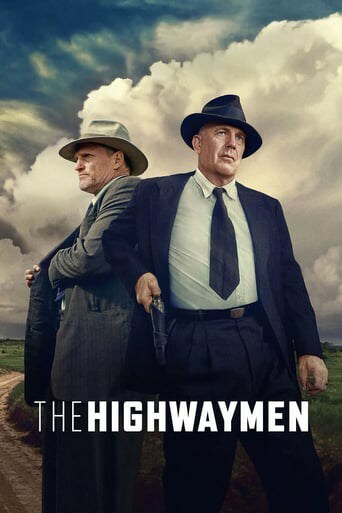 Downloading Seeding The Highwaymen (2019) [WEBRip] [720p] [YTS.AM] from to 0 peers.